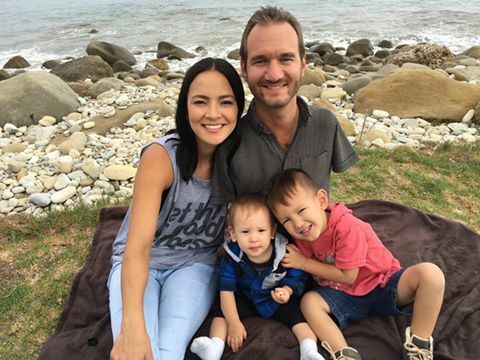 Have you heard or read about the name Nick Vujicic, a motivational speaker without limbs? 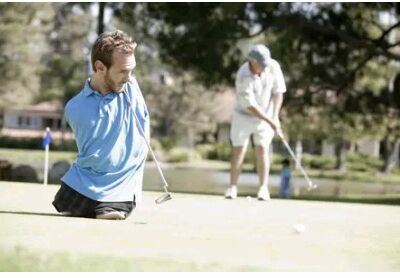 unbearable for physically challenged people when they compare themselves with the healthy humans. But with a strong willpower, one can come out victorious and live an exemplary life. 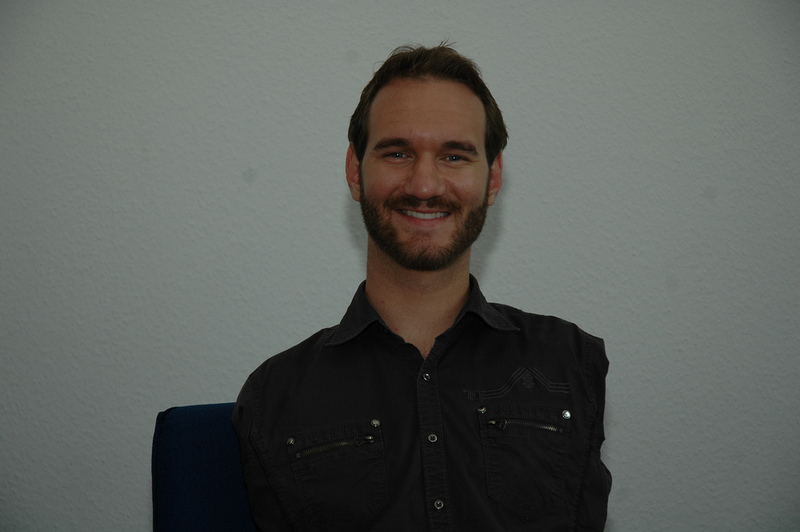 Nicholas "Nick" Vujicic was born to Dushka and Boris Vujicic December 4, 1982 in Melbourne, Australia. 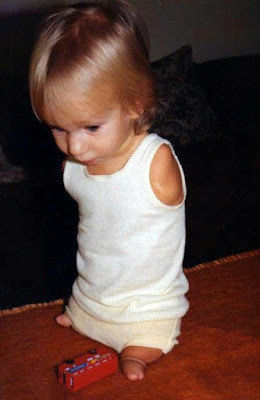 Born with phocomelia a disorder leaving him without arms and legs, he had two legs, but two small feet, one of which had two toes. His lack of limbs made him a target for school bullies and he fell into severe depression. At the age of eight he contemplated suicide and even tried to drown himself in his bathtub at age ten; his love for his parents prevented him from following through.His home was a refuge; anytime a kid laughed at him or excluded him from a game, he felt like a write-off. But when He went home, his parents told him to ignore the kids at school and reassured him that they will never give up on him. This alone restored his confidence in life. He saw that God had a plan for his life and he could not bring himself to drown because of this. As he grew up he learned to deal with his disability and gradually accomplished more on his own. A janitor at his high school inspired him to start speaking publicly about overcoming adversity, so he started speaking to small groups of student when he was seventeen. A key turning point in his faith came when his mother showed him a newspaper article about a man dealing with a severe disability. He realised he wasn't unique in his struggles and began to embrace his lack of limbs. After this, Nick realised his accomplishment could inspire others and became very grateful for his life. Nick went onto tertiary education and obtained a double Bachelors degree, majoring in Accounting and financial planning, from Griffith University in Logan, Australia. In 2005, he founded an international non-profit organisation and ministry, life-without limbs, where he gives motivational talks to give hope to those born without different disabilities and other challenges in life. In 2007, he founded Attitude is Altitude, a secular motivational speaking company. In March, 2008, he appeared in the "20/20" television series aired in the United States, for an interview taken by presenter Bob Cummings. In 2009, he featured in a short film titled "The Butterfly Circus" directed by Joshua Weigel. It also starred Mexican actor? Eduardo verastegui and American Doug Jones. In 2010, he won the "Best Actor in Short Film " award, at the "Method Fest Independent Film Festival" for his performance in the role of Will. Technologically, Nick is not left behind; he is in a position to type up to 45 words per minute on a computer. This is facilitated by the "heel and toe" method. He can throw tennis balls; he can hold a glass of water; he can comb his hair; he can brush his teeth; he can play drum pedals; he can swim; he can participate in golf; he can answer a telephone call; he can even skydive. He has traveled in over 58 countries across the world, covering three (3) million miles. He has spoken to world leaders, orphans, disadvantaged and forgotten people in the world. The mindset that made Nick became who he is today is a positive mindset where he believed that you do your best and trust God and never give up. Nick got married to Kanae Miyahara in February 12, 2012 and have two sons; Kiyoshi James Vujicic and Dejan Levi Vijicic. Accepting oneself the way you are is the first step in leading a fulfilling life. See yourself as an excellent individual no matter what limitations you are facing. Don't look at the failures you have had in life, but look at how you can overcome each failures. 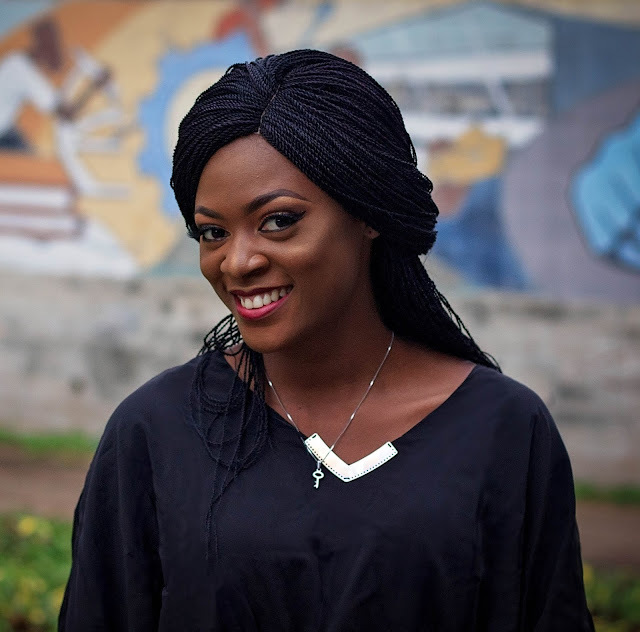 Eliminate bitterness in life and always be thankful for whatsoever life has offered you and with that, you will be able to see your purpose in life.